See our VP of Market Development, Sabina Horgan, discussing Enterprise Ireland's business support and our #globalambition. Take a mini tour of Thread. Discover what it can do to help you. 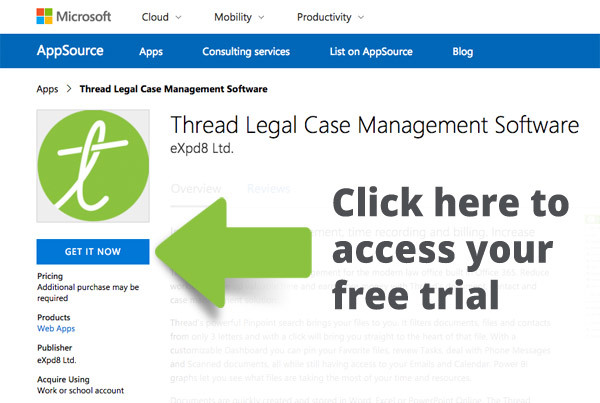 Thread is a pure cloud-based legal case management solution for the law office of the future. Watch the short video here to learn more about the features of Thread and the benefits they can bring to you. Thread launch at Microsoft Campus, Charlotte NC on September 18 2017.